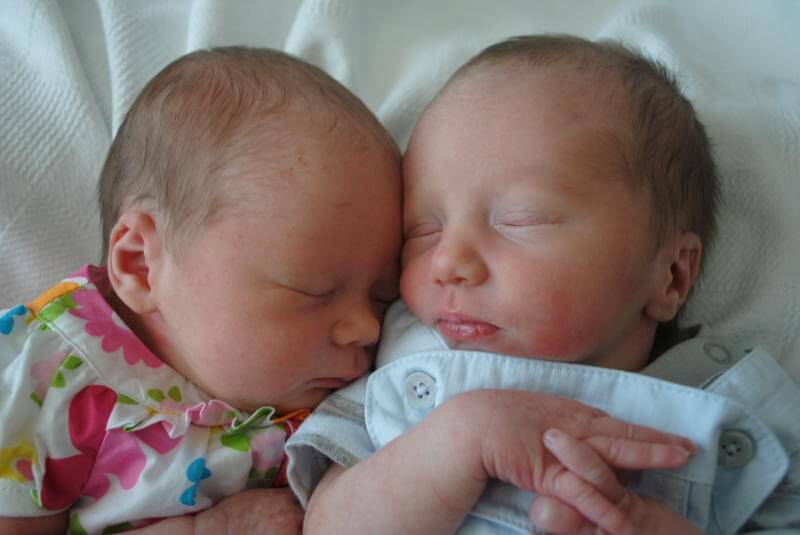 Twins born by cesarean, mom still used Hypnobabies to help! I definitely got to use my Hypnobabies training however. The anesthesiologist had a difficult time administering my spinal. After much time poking and prodding, I was beginning to feel the needle, so they had to give me another local and try some more. They did finally get it, but before they did I was mentally starting to freak out…but then I took control, put myself in hypnosis, (I kept saying “Release” to get me to go deeper.) I was able to relax until they got it. I guess the problem was my belly was so large, I couldn’t hunch over well enough for them. For a while after c-section you’re obviously in discomfort. I used my peace cue countless times. One specific time was when my pain meds in the hospital were wearing off, and I was having some very intense gas pains. My stomach was moving so much it looked like there was still a baby in there! It was very weird to see, and no fun to feel. Much worse than the pressure waves w/ my first child. While the hypnosis didn’t make the pain go away, I was able to relax thru it until I could get my meds, and it made it bearable, as they were quite awful. Even though I ended up with a scheduled c-section. 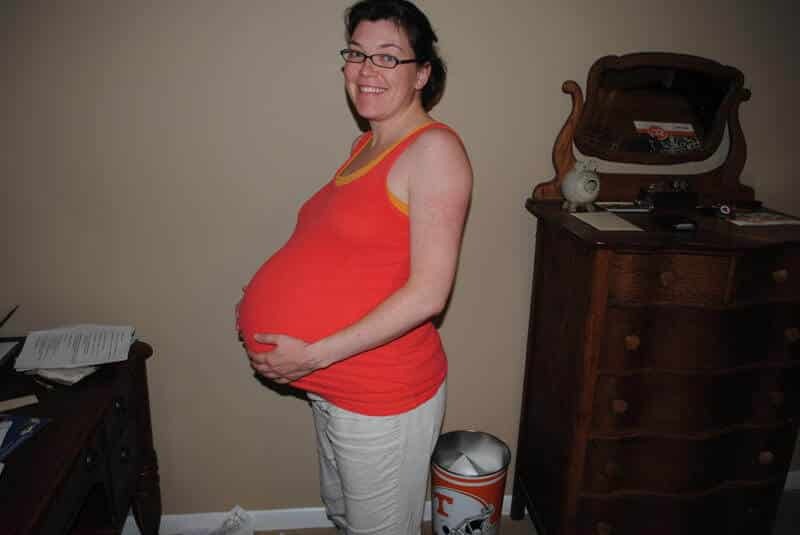 I know Hypnobabies played a large part in me going to 38 weeks (I STILL was not dilated or effaced!!!) My diet was key, and the wonderful sleep I got was so invaluable! The course was worth every penny, even if I didn’t get to listen to those last tracks. My doctor suggested me to deliver at 37 weeks. My blood pressure was rising (not pre-e), and the fluid was virtually non-existent in the boy. I asked for another week, because of “wimpy white boy syndrome.” My husband and I really did not want our children going to the NICU if we could help it. So had we delivered at 37 weeks, he probably would have gone, and that would have been devastating to me. Hypnobabies gave me the confidence to challenge respectfully w/ good reasons to back my decision up. And really, my OB had no problems w/ my decision. The reason for my c/s was I had breech/breech twins, and there were no providers in our area willing to deliver a breech Baby A. I had the best possible c/s though. No arms tied down. No separation from babies. Babies had their bath in the recovery room. I held the babies as I was being wheeled back to recovery, and they breastfed as soon as we got there! I so wish I had known about Hypnobabies for my first, because I KNOW I could have done it. I could have done it with the breech/breech twins given the opportunity, I have no doubt. But, I will keep saying my life’s motto: Control what you can…let go what you can’t.